The US Consumer Product Safety Commission (CPSC), in cooperation with Infantino LLC of San Diego, have announced a free replacement program for two models of defective infant slings. One million of the defective products are being recalled after the three wrongful deaths of infants due to incidents of suffocation. CPSC is aware of the deaths of a seven week old in Philadelphia, a six day old in Salem, OR, and a three month old and Cincinatti, OH. 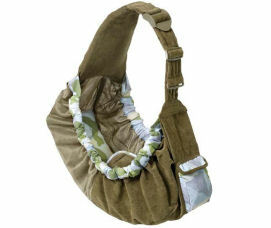 CPSC advises consumers to immediately stop using these slings for infants younger than four months of age due to a risk of suffocation and contact Infantino for a free replacement product. The affected sling models are the “SlingRider” and the “Wendy Bellissimo.” Infantino LLC sold the slings in the United States from January 2003 through March 2010 at Walmart, Burlington Coat Factory, Target, Babies “R” Us, BJ’s Wholesale, various baby and children’s stores and other retailers nationwide, and on Amazon.com, for between $25 and $30. The slings were manufactured in China and Thailand. Consumers should contact Infantino to receive a free replacement product. CPCS has also released a general warning about sling carriers for babies as they pose two risks of suffocation. The sling’s fabric can press against an infant’s nose and mouth, blocking the baby’s breathing. Additionally, where a sling keeps the infant in a curled position bending the chin toward the chest, the airways can be restricted. CPCS is working with concerned companies to develop safety standards for baby slings. For information on obtaining a free replacement product, visit www.infantino.com. To report an incident involving a recalled product, file an incident report at https://www.cpsc.gov/cgibin/incident.aspx. For more information on the CPCS warning, see the CPCS website. For more information on this specific recall, see this press release.For assistance with a case involving a wrongful death or personal injury caused by a defective product, including a defective baby sling, contact the lawyers of the Boston firm Breakstone, White and Gluck. BWG’s attorneys have over three decades of experience litigating cases at the trial and appeal level in federal and state court. BWG also has experience with medical malpractice cases, car accident cases and premises liability cases. To consult with an experienced and professional attorney, call 800 379 1244.